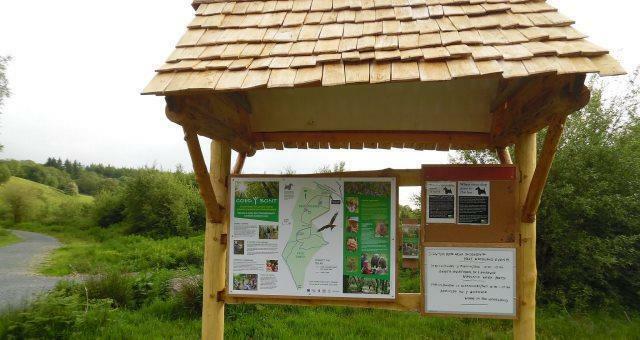 Coed y Bont Community Woodland01974 831639work Forest or WoodlandA group of dedicated people from Pontrhydfendigaid have got together and formed a 25 hectare community woodland, picnic site and woodland walks. 'Coed y Bont' is the name of the community group. The wood is actually called 'Coed Dolgoed' and is part of the Tywi Forest and owned by Natural Resources Wales. A group of dedicated people from Pontrhydfendigaid have got together and formed a 25 hectare community woodland, picnic site and woodland walks. 'Coed y Bont' is the name of the community group. 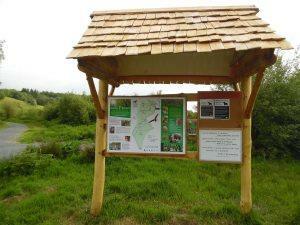 The wood is actually called 'Coed Dolgoed' and is part of the Tywi Forest and owned by Natural Resources Wales. Some of the woodland walks are suitable for wheelchair and pushchairs and other walks are for the more adventurous. The woodland is situated at grid reference SN6573 and is half a mile east from the village of Pontrhydfendigaid towards Strata Florida Abbey ruins.